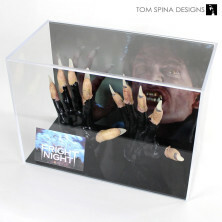 A custom acrylic case display for a set of Fright Night movie prop foam latex claws. 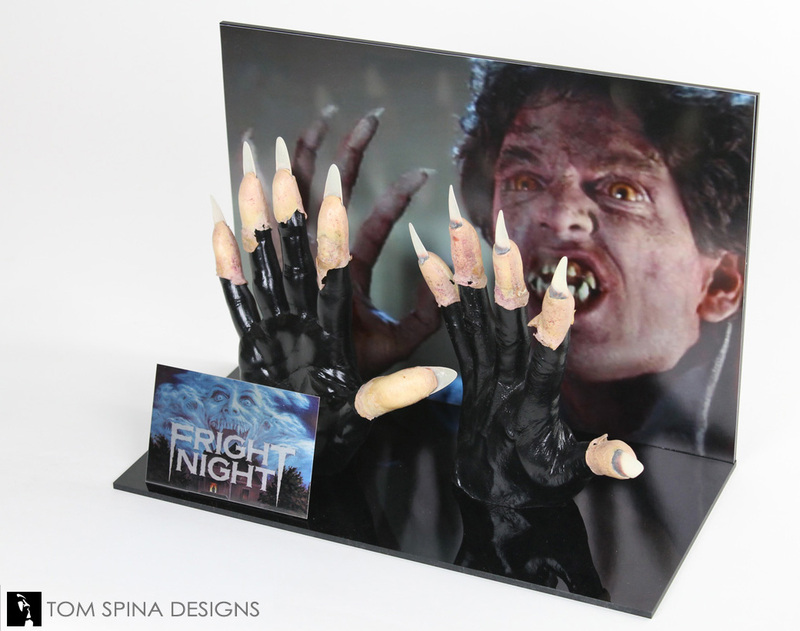 These foam latex Fright Night movie prop claws with acrylic fingernails were sent to us by one of our clients looking to have an acrylic case display created to help preserve them. Fright Night is a classic 1980’s horror film from 1985 starring Roddy McDowall and Chris Sarandon (and if you’ve not yet seen it, go watch it right now, then come back and finish reading this post… we’ll wait!). In the film, the character, Charley, suspects his neighbor, played by Sarandon may be a vampire. These props are a full set of Sarandon’s special effects prop fingertip extensions and claws. 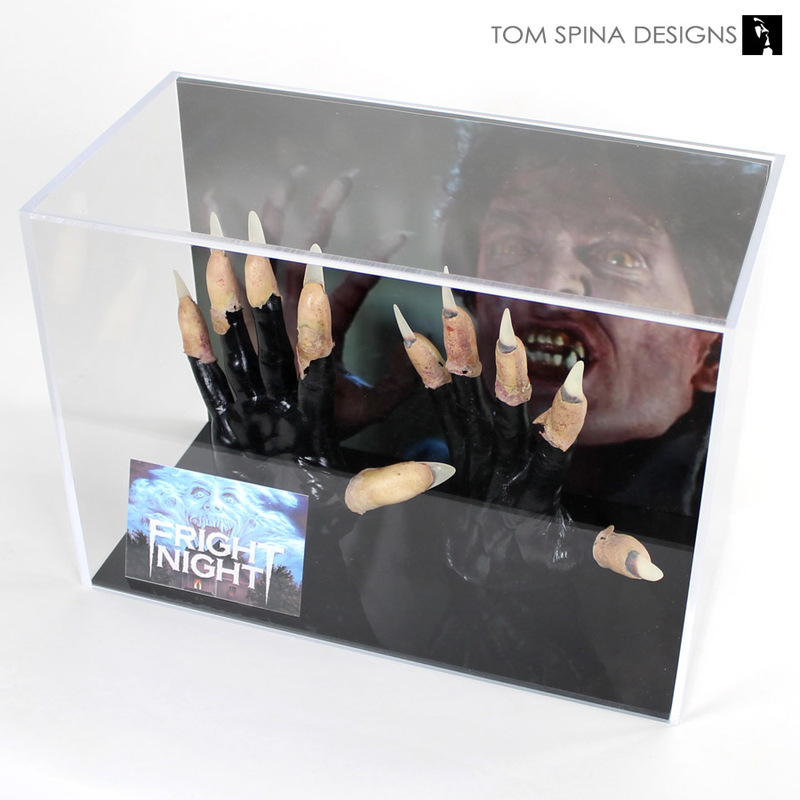 Our concept to display and preserve the foam latex fingertips was to fir them to a pair of life cast hands similar to the size of Sarandon’s (as his hands were the ones these prosthetics were originally created for). Then, to to compliment those, we enlarged a great screenshot of Sarandon from the movie. Rather than use a fully clear cover, we chose to have 4 clear sides, a crisp black acrylic base and a photo backdrop. 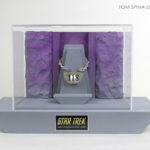 We chose to turn the backdrop of the case into a photo of the displayed finger tips being used in the film, with one of the display hands mimicking the position of the actor’s in the photo. 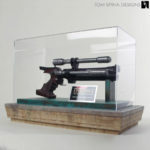 This stylish movie prop display was completed with a full color metal plaque mimicking the movie’s poster art. 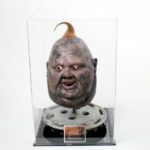 We’re big fans of this 1980’s classic horror film and were thrilled to create a display that will help showcase these great props from the movie! If you love scary, vampire movies then Fright Night is perfect for you!